Connect with the creators of the Champions Polo League. Polo has been the Sport of Kings since time immemorial. The sport has seen its origins in India as early as 1859, and has attained a regal status, but has been approachable only by a niche crowd. It is my vision to take this regal sport from isolation and make Polo more diverse and accessible to a wider audience. But before I begin, I must say that this is not a journey that I have traversed alone, there has been a constant support that we’ve received from the people who have supported Polo and put in relentless efforts towards initiatives promoting the sport. Which has helped it grow in scale as well as reach. It’s time for us to celebrate these efforts as we enter a new stage in our journey to make Polo bigger than ever. Come March 2017, and you will see Polo being played like never before. I am excited to announce the launch of a Polo League that will witness participation from our superstars as well as players from key Polo playing geographies around the world adding to the flavor.We have gone back to the drawing board and enhanced some key elements to make Polo appeal to the youngsters of today, while ensuring that the aesthetics and essence of the sport remain the same. The facelift will not only add to the wow factor of the new age avatar of the sport, but will also make the sport more interesting and engaging for the viewers. Come, join us at the unveiling of this new age experience as we take our beloved sport to newer heights. 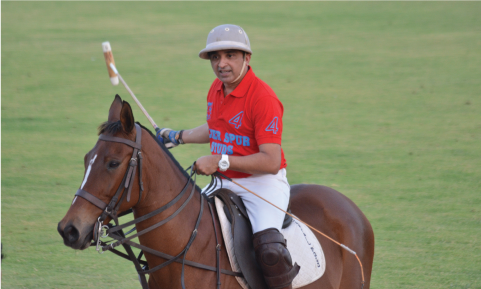 The Champions Polo League is managed by CP Sports Ventures Pvt. Ltd., and is the brainchild of Mr. Chirag Parekh, Founder Chairman of Acrysil Group.